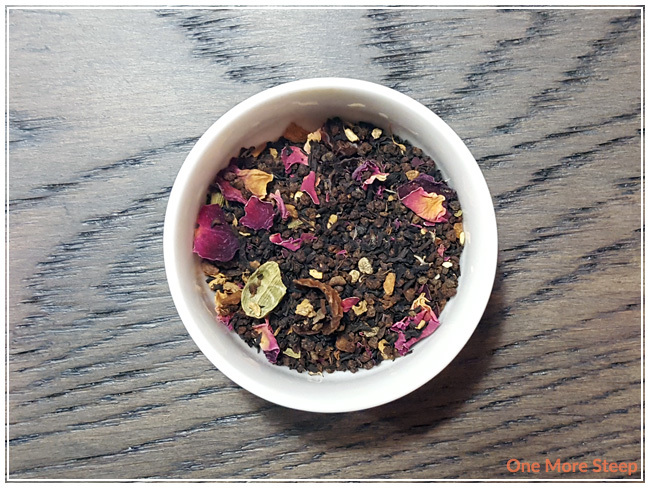 Lemon Lily’s Rose Petal Chai came to me as part of a subscription box from The Sugared Teacup. As a fan of black tea blends, I’m a sucker for a good chai. There’s just something soothing about a black with with a whole bunch of spices… and sometimes I’ll add some honey or sugar and some frothed milk and make it into a tea latte. I was happy to see Rose Petal Chai in the box that I received from The Sugared Teacup, because while I love a good chai, I don’t always have all the ingredients on hand to blend it on my own, so having it blended for me helps a lot! Rose Petal Chai came to me in a resealable bag, the aroma of the dry leaf is primarily that of cardamom, ginger, and cinnamon – yum! 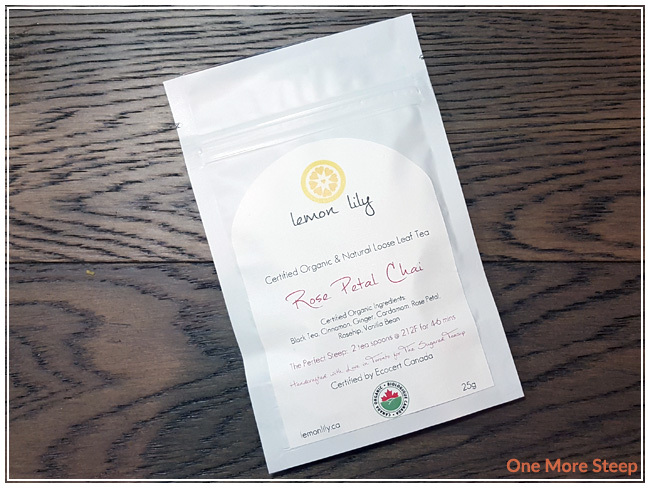 Lemon Lily’s Rose Petal Chai consists of: black tea, cinnamon, ginger, cardamom, rose petal, rosehip, and vanilla bean – all certified organic. Lemon Lily recommends steeping Rose Petal Chai in 212°F (100°C) water for 4 to 6 minutes. I opted to do an initial steep for 5 minutes. 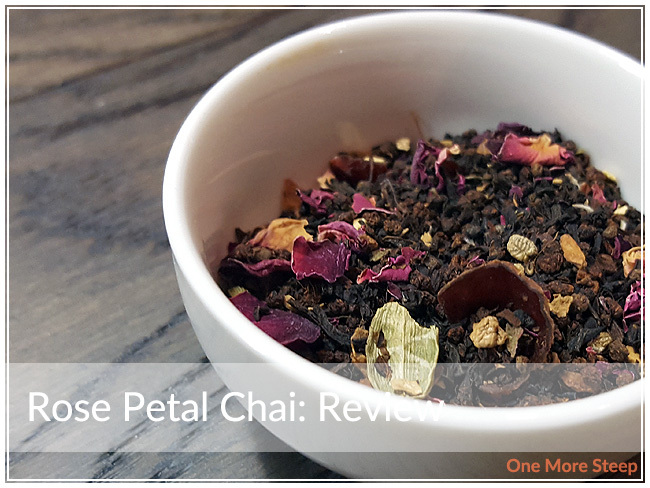 Rose Petal Chai steeps to a deep reddish-brown, and has a beautiful aroma that is mostly that of cardamom and ginger. It’s a very relaxing aroma if you breathe it in deep! I found that the flavour of the tea is well reflected by the ingredients list. I can taste the cardamom, there’s some gentle heat from the ginger, and I can taste the cinnamon for sure. I found that there’s just a hint of floral sweetness, which I attribute to the rose petal and rosehip. I can’t make out the vanilla bean, unfortunately, but the overall flavour profile definitely makes me think of a nice chai. I did try Rose Petal Chai with a touch of honey and some frothed milk to make it into a tea latte and I was not disappointed! If you like chai lattes, I would definitely recommend trying this chai as a tea latte. I resteeped Rose Petal Chai twice. The first resteep was fairly similar to the initial steep in terms of flavour and strength of all the ingredients. The second resteep was missing the floral sweetness and the ginger was more lost. I would say that Rose Petal Chai is good for one more steep. I liked Lemon Lily’s Rose Petal Chai. 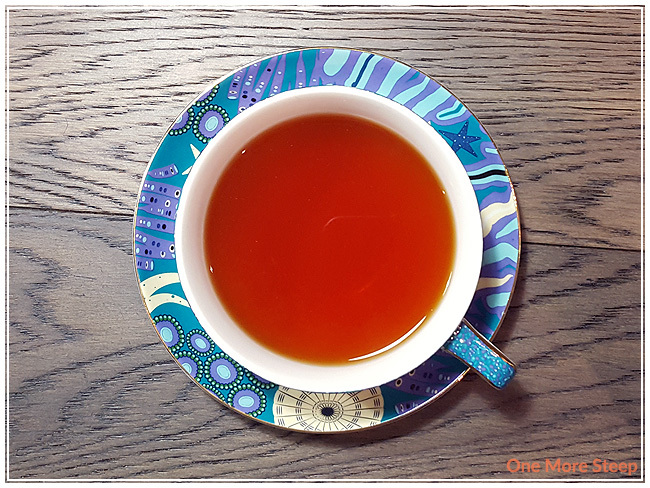 I found the blend of ingredients to be incredibly pleasant, and made for a very nice lightly floral cup of chai. The gentle heat of the ginger and the presence of cardamom make for a very nice cup of tea – made all the better when I turned it into a tea latte! I do wish the vanilla bean was more a present flavour, since I love the flavour of vanilla bean. 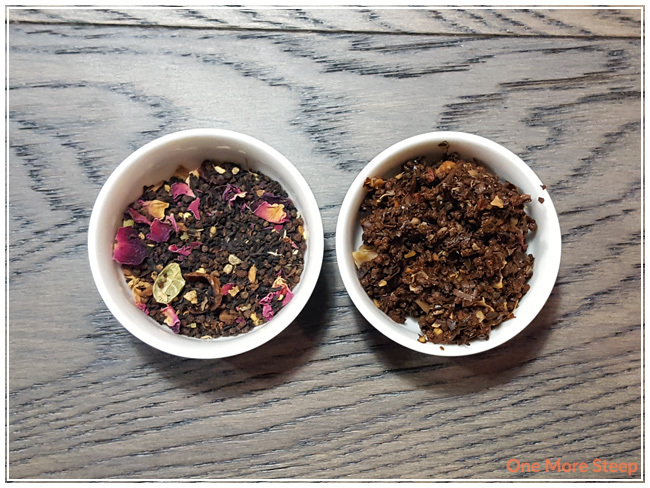 I think this blend could do with some more rose petals, just to impart a stronger rose flavour into the tea.